Every now and then, hedge funds pop up in the news. Hedge funds are often seen as the province of the fabulously wealthy. However, you don’t have to be rich to take advantage of what hedge funds have to offer. In fact, you can create your own hedge fund with help from the latest investing report from NerdWallet. Which Small Cap Investments Do Hedge Funds Like? By looking at the behaviors of hedge funds, and analyzing where they invest their money, it’s possible for you to get some ideas for building your own hedging portfolio. The NerdWallet report focuses on small cap investments used in hedge funds. These small cap (market capitalization of less than $2 billion) investments can provide you with the potential for growth, and they can help you hedge your bets. According to the report, the company that is most-owned by the 10 largest, well-known U.S hedge funds, is Caesars Entertainment. However, the most popular hedge fund investment for 2013 so far is Radian Group Inc. This company saw more shares purchased in 2013 than other favorites. These eight investments, added to the two mentioned above, can provide you with a reasonably diversified hedge fund of your own. As you can see, you will have investments in the financial, technology, services, and consumer products sectors. That’s not a bad cross-section when you are building your own portfolio. Of course, you don’t have to confine yourself to small caps. 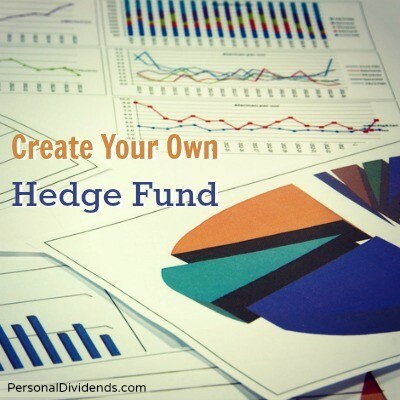 Hedge fund holdings can provide you with a number of other ideas as well. NerdWallet’s Hedge Fund Tracker tool provides ordinary investors with insight into where the hedge funds are investing right now. The top purchases for the first quarter of 2013 include Gilead Sciences Inc and TELUS Corporation. You can get some great ideas for additions to your own portfolio by using this tool. On top of that, you can also get an idea of what sort of sector allocation hedge funds are using. You can build your own hedge fund to match a similar allocation (the financial sector is the most popular, followed by services and technology). There’s no need to pay the high fees that come with managed funds if you use research tools to identify good ideas that can allow you to build your own portfolio based on the principles applied by the most popular and successful hedge funds. Of course, you do still need to be careful. Whenever you get your ideas from large institutions, you run the risk of succumbing to herd mentality in your investment choices. Getting ideas from top investors and hedge funds doesn’t let you off the hook when it comes to performing your due diligence and making sure that you research stocks properly before adding them to your portfolio. Remember: Stock picking is still fraught with financial dangers, and you need to be prepared for them.